Our friend Frank Gaffney, founder and president of the Center for Security Policy, has a great piece on Breitbart explaining what is at stake in the current conflict in Iraq and Syria (Link at the end of this article) arguing that Congress should debate and pass a new authorization for the use of military force (AUMF) targeting not the so-called Islamic State, but adherents of the Muslim political-military doctrine of Sharia. Gaffney’s point is one we have made on a number of occasions: The enemy is not a nation state or a government, but the idea of Islamic supremacy deeply ingrained in Muslim culture. 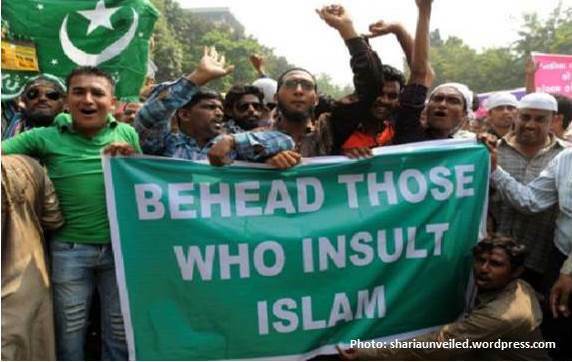 As Mr. Gaffney explains in his article DECLARE WAR ON SHARIAH, “Nearly thirteen years after 9/11, it is past time to recognize that we are at war not with one group of “terrorists” or another. Rather, adherents to a doctrine or ideology they call shariah are at war with us. Shariah is, at its core, about power, not faith. While some small percentage (some estimates suggest ten-percent) of its dictates prescribe the religious practices, the rest of it defines comprehensively how every relationship must be ordered – between individuals, families, neighbors, business associates, all the way up to how the world is governed.